These fresh chicken nuggets are given a quick pan-fry before finishing up in the oven. 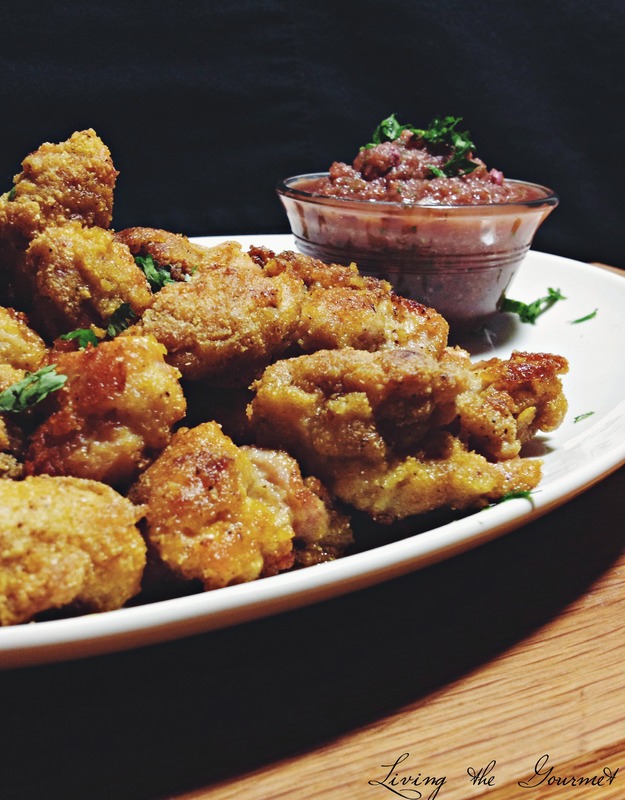 The result is juicy nuggets with a crispy cornmeal coating, served with a pomegranate salsa for a refreshing and satisfying meal. The holidays have visited and have left much too abruptly. I am not quite sure exactly why this seems to happen, but I seem to be left in the dust. I wish time would slow down just a bit. I really did not have this in mind at all when I began de-boning the chicken thighs; though I got to thinking about fun food and this popped into my head. I also had a bunch of pomegranate seeds to find some use for and that is how the salsa was born. Combine all of the dry ingredients in a bowl and add the chicken pieces. Toss the pieces to coat as evenly as possible. Heat a large frying pan with 1/4 inch of canola oil. Add a few coated chicken pieces, but do not overcrowd the pan. When the chicken is golden on one side, 2 or 3 minutes; flip the pieces get the pieces golden on the other side. Place the pieces in a baking pan to finish cooking. Bake about 25 - 30 minutes. Serve with the chicken pieces and cilantro for garnish. **Link up to these parties and here. My mouth waters every time I come to your kitchen. 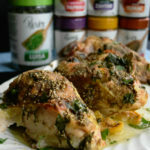 I just bought chicken thighs at Costco today...Hummmm guess I'll have to try this. These chicken nuggets look soooooooo good! Oh yum! I eat nuggets a lot, and this is a healthy spin. And our grocery store sells boneless thighs! These nuggets look so good and sound so flavorful with the combination of spices you used. 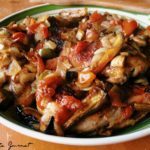 Un'altra ghiottissima ricetta qua da te.... che bontà cara!!! 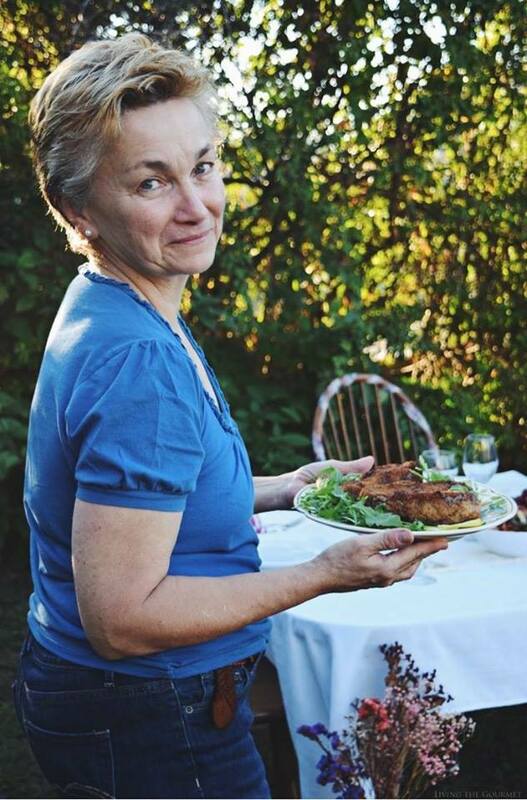 Catherine - do you think these recipes up yourself - I never would have thought of doing all this. THAT SALSA. I need it in my life asap. 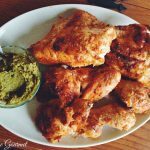 Such a genius and delicious way to prepare chicken! The chicken nuggets caught my eye, but then the pomegranate salsa with cilantro just put this over the top for me! Pinning! Can't wait to try this. Happy New Year, Catherine and Tammy! Well, you've got my mouth watering again. Happy? 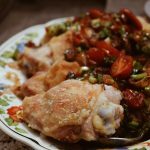 Che ricetta invitante, adoro le pepite di pollo, con la salsa al melograno sono fantastiche! Felice Anno Nuovo Catherine, un abbraccio! Fun! I really like chicken nuggets but I'm always concerned about purchasing convenience foods... Your recipe is perfect because I can have the delicious chicken nuggets while keeping my peace of mind. ":) Thanks! Love chicken nuggets when made at home with love and care. Perfect finger food. 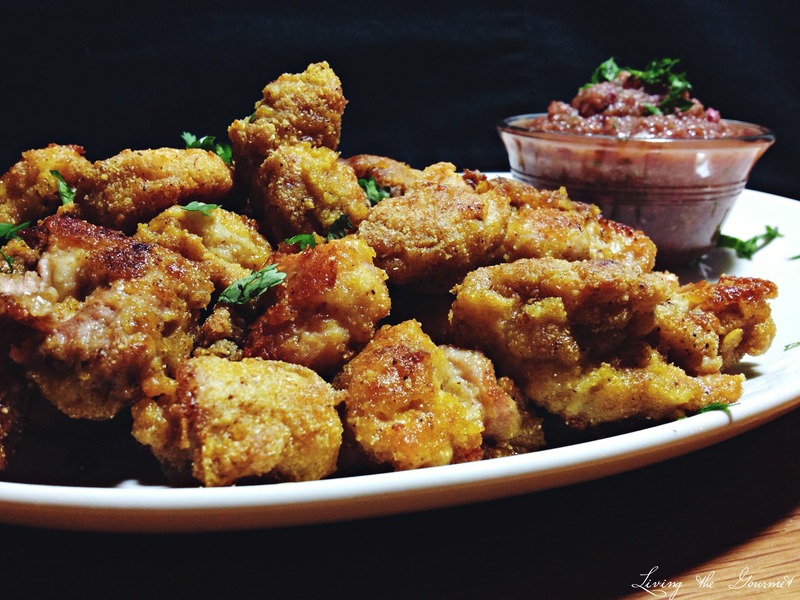 I have a feeling these nuggets taste AMAZING with that salsa! 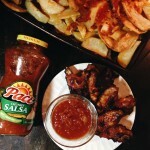 That salsa sounds amazing, great idea to pair with the chicken! Oh my these look so good! Pomegranate salsa looks so good! Always looking for a new type of salsa so I want to give this a try. Pinned! Thanks! Such a delicious looking meal, my mouth is watering. Thanks for linking up to Sweet and Savoury Sunday, stop by and link up again. Have a great day!! 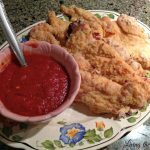 Great salsa to pair with chicken nuggets. Nice change from BBQ sauce and honey mustard.